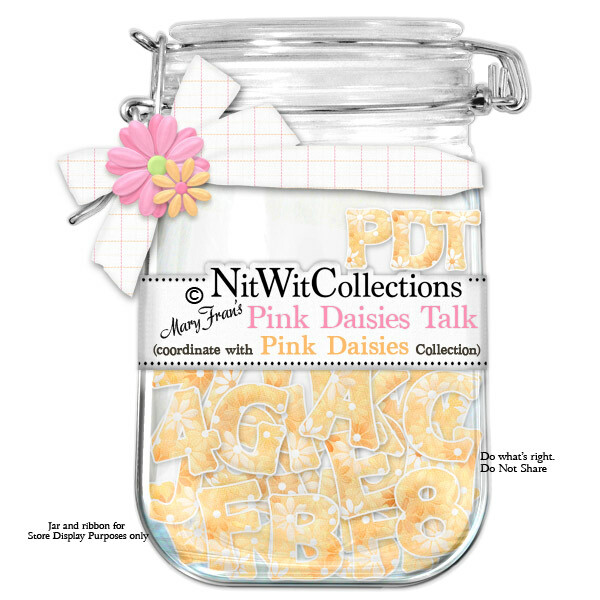 "Pink Daisies" Talk is a digital alphabet to help you create titles, dates, names, or whatever you wish for your scrapbook layouts and cards. Would the words "Spring" or "Love" look great?? Give them a try....it's the only way to know!